pediped recently introduced its Spring Summer 2013 Collection, and if you love cute shoes for kids you will adore these new shoes. For me, taking care of your feet is so very important, and I want to make sure I have the best shoes for my daughter. She is a very active girl that loves to play. If you are looking for shoes for tiny babies to bigger girls and boys. The pediped Originals line, have , flexible soles and are recommended by pediatricians and podiatrists because they allow children to closely mimic barefoot walking. Shoes that are almost like being barefoot. I just wish I would have known about these great shoes when my daughter was a toddler. • The Originals line of soft-soled, flexible infant shoes is recommended by pediatricians and podiatrists as the shoe’s design closely mimics barefoot walking. • 11 new styles have been added this season. Highlighting the collection is the Daphne and Betty for those pastel occasions, and the Daisy and Sadie serves as signature styles. For boys, the Aaron and Amazon have all the outdoor needs covered, while the Jones offers the classic sneaker. • The Originals® collection will be priced at $37 and is available for children ages 0-24 months. • The Grip ‘n’ Go™ line is made with all the benefits of the Originals®, but adds special feature G2 technology for the unbalanced toddler transitioning into walking more confidently. • New for Spring/Summer, the collection spotlights Memory Foam Technology™ in the Nikki and Savannah. Also new for girls is the Dakota and for boys, Memory Foam Technology™ is featured in the Joshua. The Gehrig is a new water-safe and machine washable style. • The Grip ‘n’ Go™ line will retail at $48, and will be available for children ranging from nine months to three years of age. Flex® (rubber soled shoes for children 1-8 years). • Flex® is the ultimate shoe for an established walker who has developed a confident, natural stride. The Flex® line offers more than 50 styles covering an array of color options ranging from pastels and neons to signature browns and black. • Popular as ever, the water-safe, eco-friendly Adventure Line has expanded with over 10 new styles. Featuring pops of bright summer colors, the Darcy and Amazon, new styles for girls, make their debut alongside the Rio and Gehrig for boys. • The innovative line of washable athletic shoes, made with Ultra Light Technology™, is especially designed to support children’s growing feet. Featuring flex grooves to support natural foot movement and heal cushioning, this line provides maximum flexibility while remaining light as air. The line consists of 15 solar system inspired styles. • Flex® styles range in price from $39 to $59 and are available in EU sizes 20-33 (available sizes vary between styles). 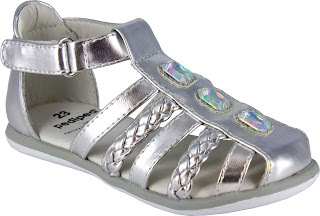 I was very fortunate (or should I say my daughter was) to be able to review a great pair of pediped’s - Flex Vivian – Silver from the spring/summer collection. And now that spring is here, it is a great time for these shoes. It is really starting to warm up here in the northeast, and we are looking forward to the nice spring/summer weather that will come soon. My daughter is eight years old just loves these shoes, and they fit her feet well. The color is such a pretty silver that sparkles and it really stands out. I love the “gems” they really jazz up the shoe and my daughter just loves the fanciness of these shoes. My daughter can be hard on her shoes, she loves to play in the yard and run and just have fun. The closed toe style will my daughters feet comfortable and protected, and the open sides of the shoes will keep her feet cool. The shoes are well made, and I am sure they will stand up to all my daughter does in them. They are very flexible and I will be getting her another pair soon, she lives in these shoes. She wears them to play, wears them to school. Pretty much all the time. This style would work for jeans and a pretty holiday dress this is a very versatile style. I will surely be bringing these great shoes on our trip to DisneyLand trip in June, the shoes will be great to walk around the park. And for those who have been to Disney World before, you walk and walk and walk. It is quite the workout for the feet. I am sure my daughters feet will be comfortable, and stylish in her new pediped shoes. There are so many great shoes on the pediped site, they have an line of water safe shoes, washable shoes, sandals, mary janes, boat shoes for boys and more. If you are looking for a pair of shoes for your little one, pedipeds are the shoes for you. Make sure to sign up to become a pediped Insider on www.pediped.com to be the first to know on news of special promotions, new product introductions and more. I love that pediped also gives back, the pediped foundation established in 2010. The foundation has donated nearly $1,500,000 worth of products and monetary support to children. The company has donated $470,000 to the Make-A-Wish Foundation®, helping to grant of over 60 wishes to children with life-threatening medical conditions. I love that your purchase will help a child, it just makes you feel good about buying from a company, pediped is trying to make a difference in the world for the better. The generous folks at pediped are giving one of Susan’s Disney Family readers a chance to win a pair of pediped’s you can choose from boy or girl and the size. To enter please visit www.pediped.com take a look around then come back here and tell me the name of your favorite pair of shoes from the site. There are also other ways to enter, please enter below. You can purchase the Spring/Summer 2013 collection online at www.pediped.com. 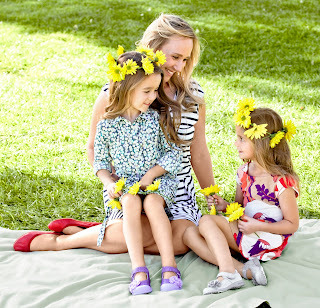 If you love pediped then make sure to check out Brian James Footwear, the new women’s footwear line from Angela Edgeworth founder of pediped. I like the Flex Joshua - Brown! Thanks so much for the fantastic giveaway! Amazon - big boys! cute! I like the Flex Isabella in red! Thanks. I would love this shoe for my grand son.. I would love this shoe for my grand son ..
Love the Flex Sahara - Brown! I think my son would look great super cute in the Adrian - Navy, Grey, Red shoes! I like the flex amazon - berry. Thanks for hosting! I like the Flex Violet - Bronze! I love the Flex Minnie in raspberry and hope to get them for my daughter for the summer. I really love the Originals Adrian - Chocolate Brown pair for boys! I love the maggie sandals in fuschia! I like the Flex Delmar in Blue. I like the girls Flex Willow - Silver sandals. i love the abigail shoes! i love the Flex Naomi - Black Boot! There all really cute but I like the flex sadie pink or sky blue. i love the flex Joshua!